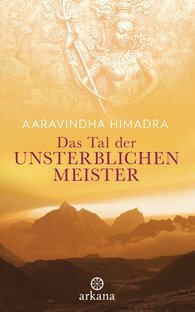 In the summer of 2006 the seer and spiritual teacher Aaravindha Himadra goes on an adventurous journey to a nearly inaccessible and seemingly mythical valley in the Himalayas. There he meets highly evolved beings, the legendary Amartya masters, guardians of the secret spiritual knowledge of an ancient tradition that enables them to overcome the limitations of death. Under their guidance, Aaravindha learns how to go beyond the physical laws of nature; he travels through time, has experiences while outside his physical body, and gains deep insights into the eternal essence of reality. This spiritual gem takes readers into a world full of wonder and profound, timeless truths. The author describes how the primordial human desire to return home, to find contentment, and to awaken to the true greatness of our being can be fulfilled.